Jack Doohan has qualified fastest at the 4th round of the European Championships at the Alaharma circuit in Finland. 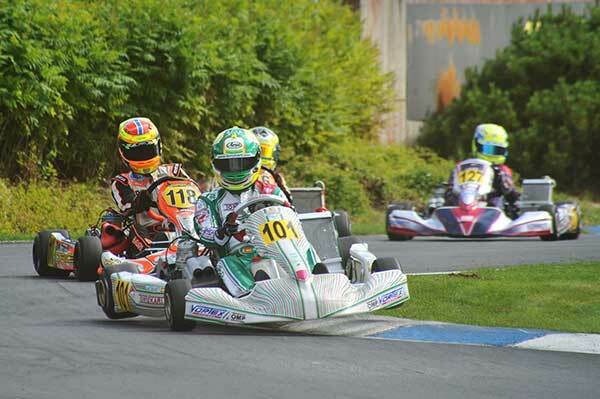 Doohan (FA/Vortex) then won his opening two heats in OK-Junior, followed by a second in the third. He has one more qualifying heat to contest prior to the grid for the Final being settled. 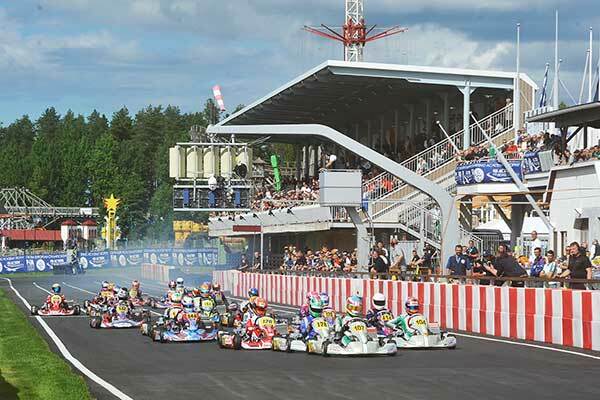 The race towards the European titles is getting heated in Alaharma (FIN), where the Qualifying of the 5th round of the CIK-FIA European Champs for OK and OKJ, and the Karting Academy Trophy has taken place. The Finnish round, so far, has been characterised by uncertainty, with lots of drivers who can aim at a victory which could be crucial in the race towards the Championship title. The end of the Championship is approaching fast; the last race, in fact, will take place in Kristianstad (S) next week: arriving there after a victory in Finland is going to be of paramount importance. In OK, the Finnish Paavo Tonteri (Tony Kart-Vortex-Le Cont) set the best time in qualifying, but in the Heats the Spanish world Champion Pedro Hiltbrand (Tony Kart-Vortex, above) and the Italian Lorenzo Travisanutto (Zanardi-Parilla) took centre stage, winning two Heats each. It is an important result for both the drivers: they are, in fact, trying to close the gap with the current leader, the Spanish David Vidales (Tony Kart-Vortex). Good day also for the Russian Pavel Bulantsev, the German David Schumacher (both on Tony Kart-Vortex) and the English Callum Bradshaw (CRG-Parilla): they all won a Heat each. 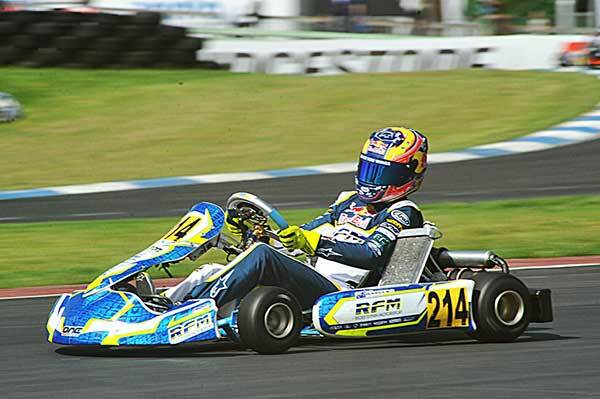 The Australian Jack Doohan (FA Kart-Vortex-Vega) put in an excellent performance: he set the best time in Qualifying, then he won two Heats. He is now the most dangerous rival for the current Championship leader, the English Jonny Edgar (Exprit-TM). The latter, today, won a race as well as the British Harry Thompson, another frontrunner of the category. 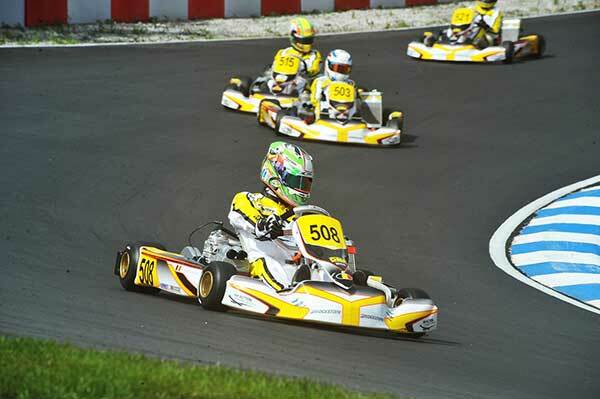 The other Heats were won by the Brazilian Gabriel Bortoleto (CRG-Parilla), the Russian Ilya Morozov (Tony Kart-Vortex) and the English Zak O’Sullivan (FA Kart-Vortex). The Belgian Xavier Handsaeme wants to confirm his leadership in the Academy: he won one of today’s Heats, but winning tomorrow’s Final might be a lot trickier. In fact, also the Brazilian Francisco Melo (who set the best time in Qualifying), the Finnish Luka Nurmi and the South-African Jordan North (all on Exprit-Vortex-Bridgestone) won a Heat each today and are going to be tough rivals for the Belgian.